This year, a few months ago I got the idea to do something with one of my favorite attractions, The Haunted Mansion. 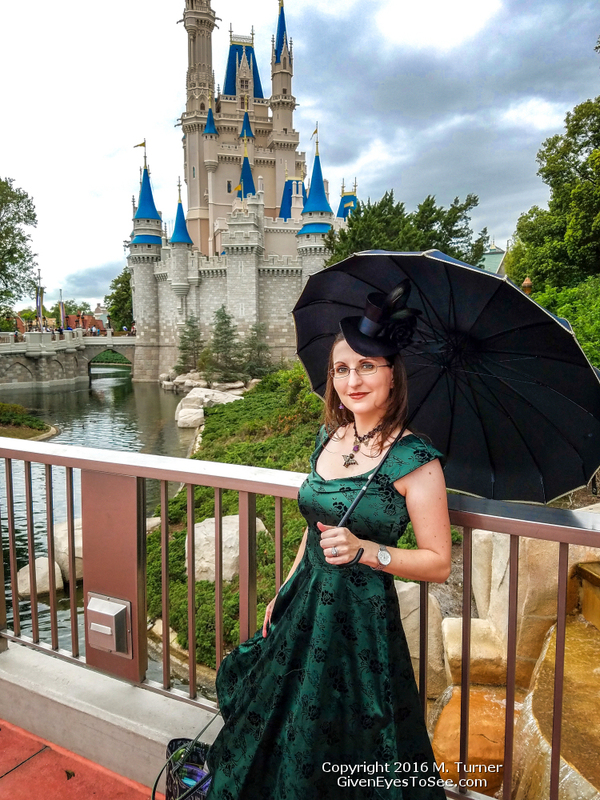 I found a perfectly Dapper green and black dress which reminded me of the “Maids” and “Butlers” that work the attraction. From there, I spent a lot of time finding and modifying various aspects to complete the look. (Including making a Bat Stanchion Necklace) I’m happy to report it was a total success! 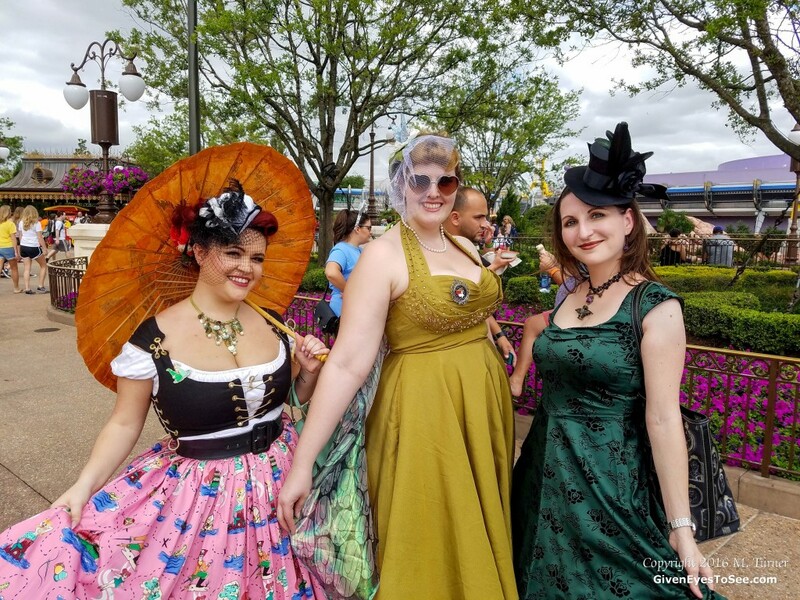 Feel free to check out my entire album including more group shots and other shots with fellow Dapper Darlings here on my facebook page. 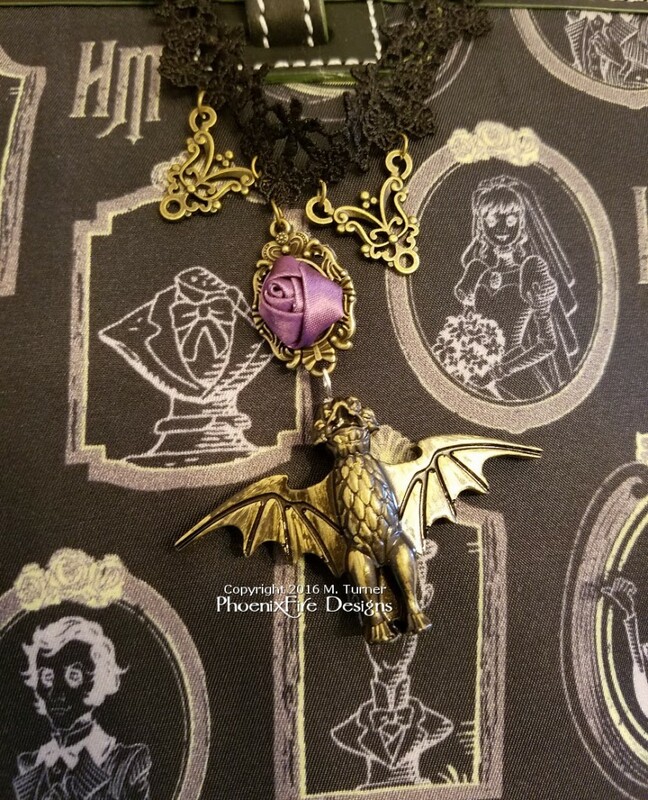 I handmade the Haunted Mansion “bat stanchion” necklace I’m wearing for the day and had so many people inquire about it that I will be doing a limited run of them for sale. Follow PhoenixFire Designs to be updated when they will become available. I need to get additional supplies and materials plus get more cast and painted. 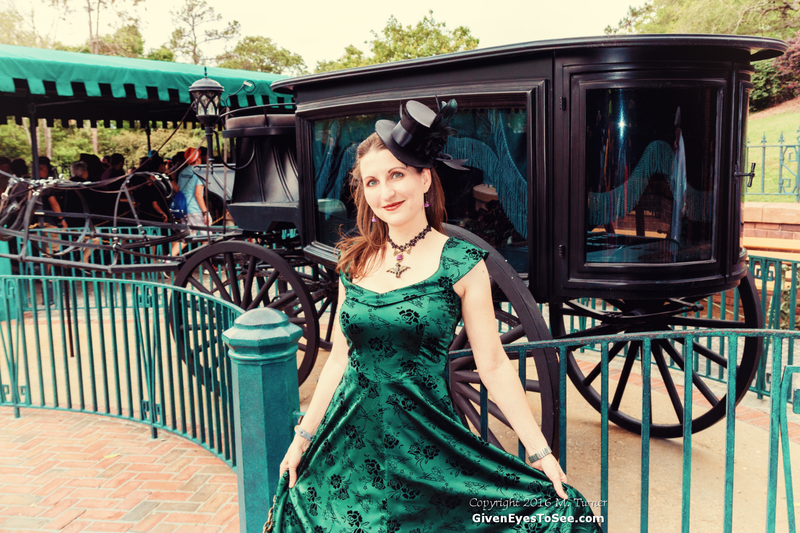 Update: Pre-orders for my Haunted Mansion Bat Stanchion Black Lace Choker Necklace Here! 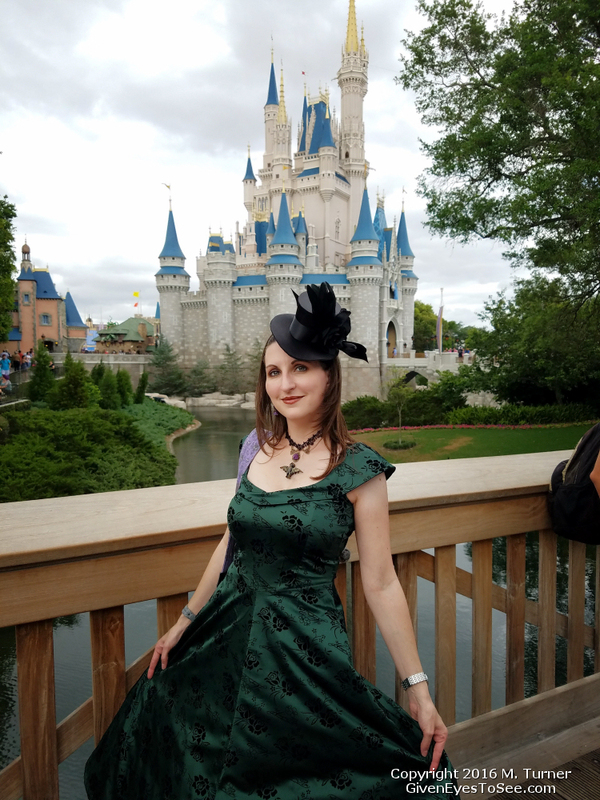 Handmade Haunted Mansion bat stanchion necklace worn by me for Dapper Day at Magic Kingdom, Walt Disney World Spring 2016 as part of my green dress HM disneybound. Preorder now available through PhoenixFire Designs by overwhelming request! What a beautiful dress, and a lovely day to be part of! Thank you! It’s so much fun. 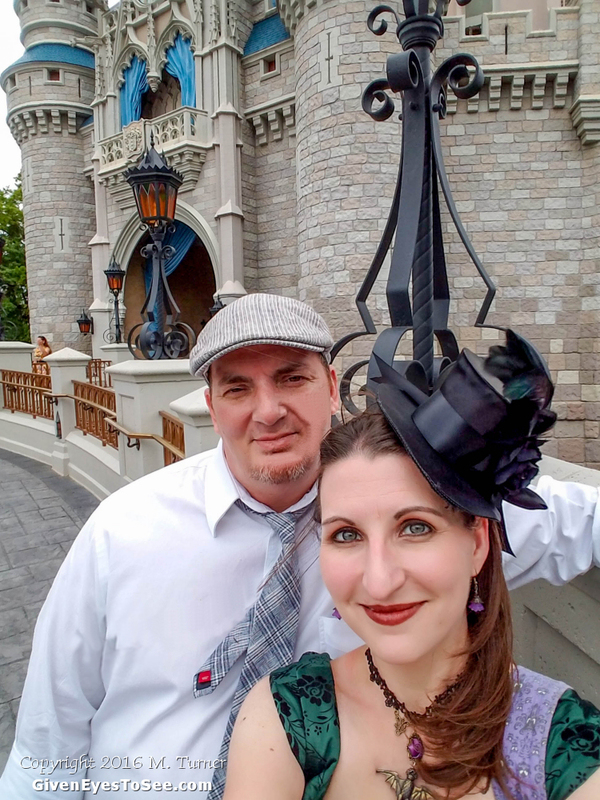 Dapper Day happens twice a year at both Disneyland in California and Walt Disney World in Florida so I would highly recommend trying to attend one of them if vacation plans allow!